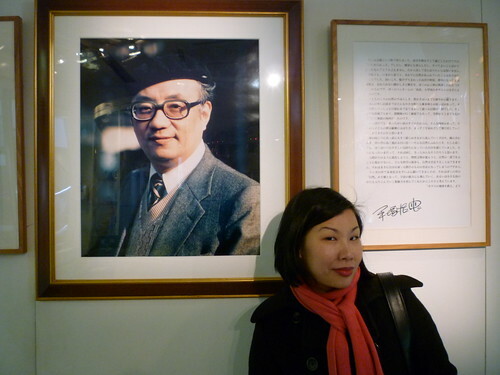 A few weeks ago I had the pleasure of traveling to Japan with a friend and we visited the Tezuka Osamu Museum in Takarazuka (about 30 minutes train ride from Osaka). 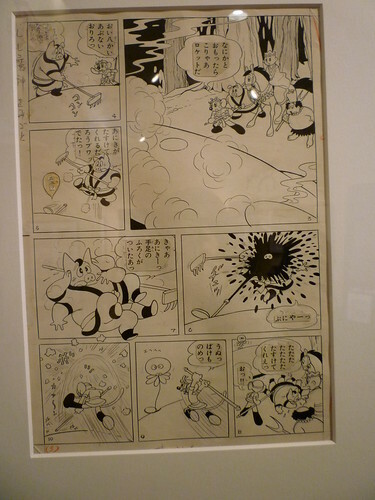 The minute I stepped inside the museum and heard the Astro Boy theme song, there were tears in my eyes. 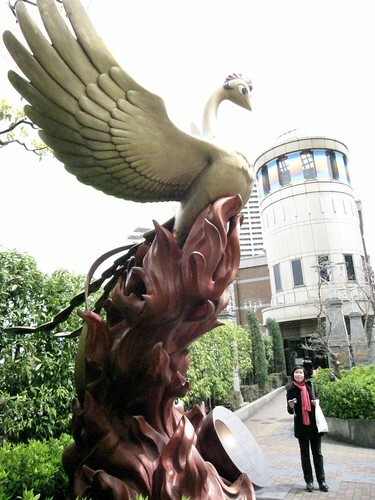 It was an overwhelming experience to say the least. 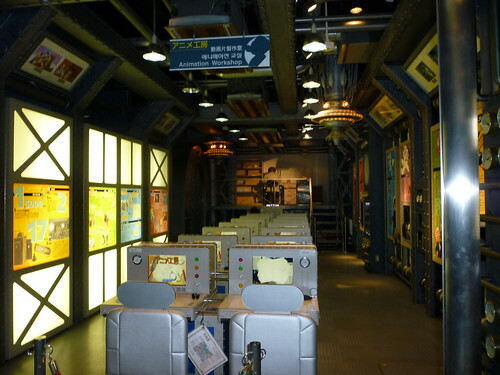 The museum was designed like a science lab with three levels and a futuristic elevator in the middle. 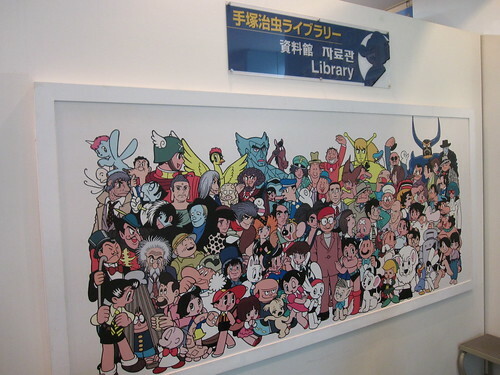 The next time I return to Japan with Nihongo language skills, I want to spend a WHOLE DAY in this library! 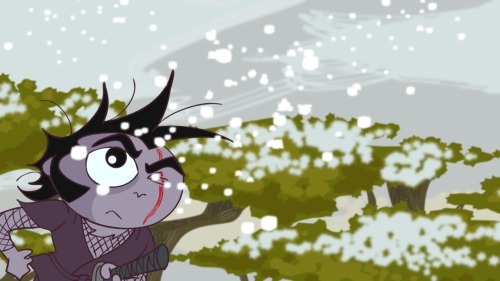 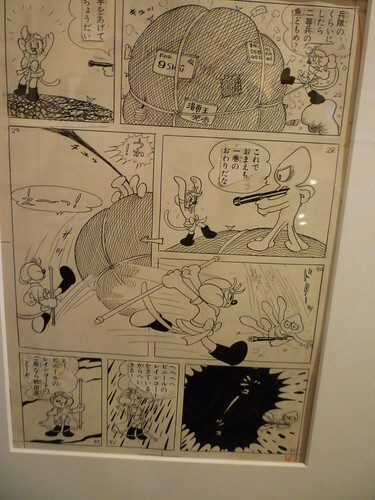 There was also a small theater playing shorts by Tezuka Productions. 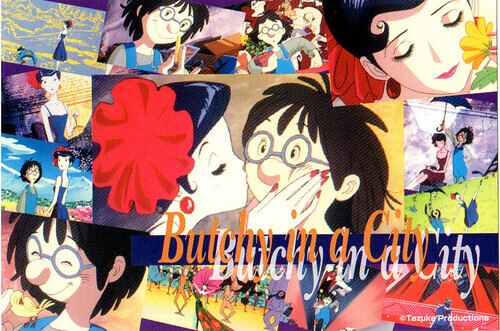 We sat through “Butchy In A City” a silent movie about a down-and-out-artist character (clearly based on Tezuka himself) who becomes friends with a stage actress (perhaps inspired by the Takarazuka Revue ). 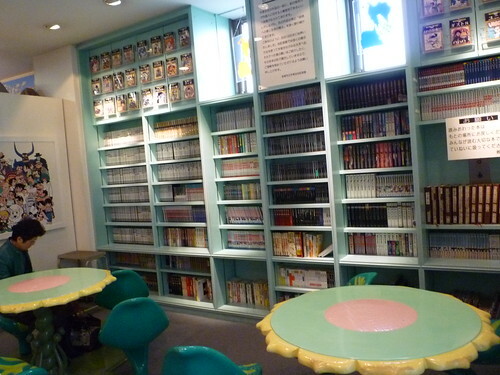 A really sweet, fun and charming piece. 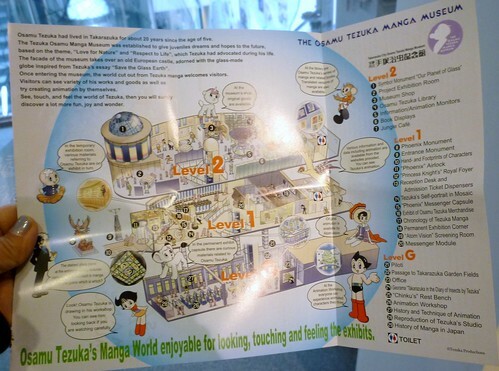 According to this webpage , “Butchy In A City” was made specifically for the Tezuka Museum in 1995. 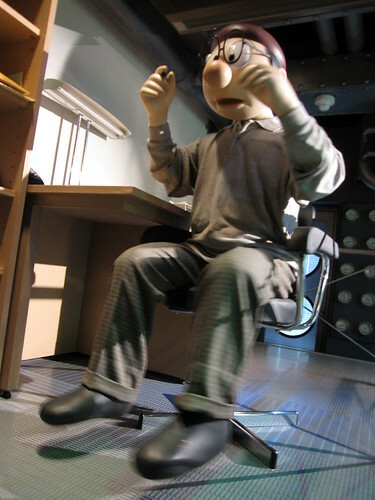 Downstairs… an Animation Workshop, headed by an animatronic figure of Tezuka!